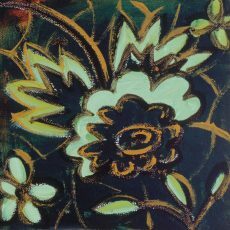 Altschuler, Gail | Artists | Canadian Art Prints & Winn Devon Art Group Inc.
Born and raised in South Africa, Gail Altschuler draws inspiration from diverse sources, from jazz music and ceramic tiles to fabrics from Africa and Asia. The colors reminiscent of her homeland along with the Bauhaus principle she learned from Rietveld Academy in Amsterdam continue to have strong and lasting influences on her work. 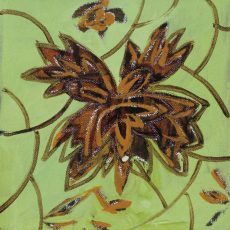 Focusing on elements of her work, Gail is interested in exploring the power of colors and patterns. The intense colors she uses throughout her paintings are woven together to create moods and atmospheres that relate to her experiences in Africa, Europe, and the United Kingdom. For the last several years, Gail has also been using the theme of the ‘weave’ in her work, utilizing it as a symbol of order and chance, harmony and integration. Her paintings are abstract yet they also reflect landscapes and cityscapes.